No amount of coffee is going to cure McCloy of his grumpiness it seems. 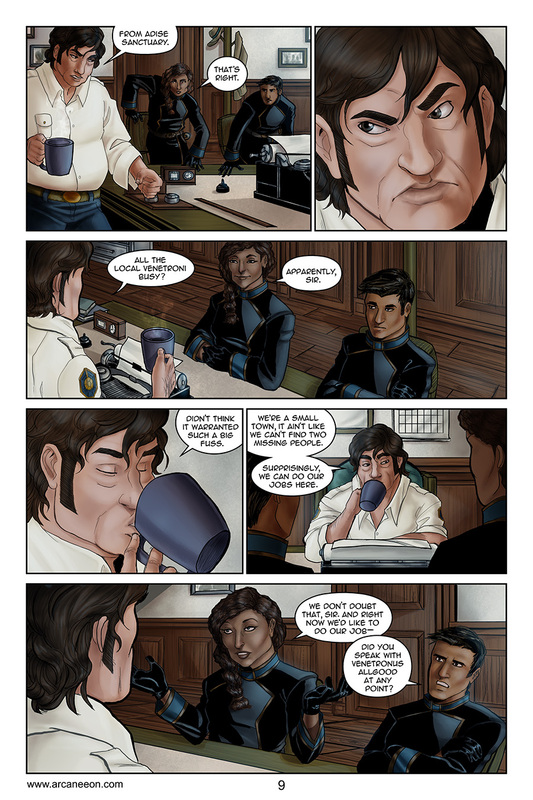 And if you’re a fan of Nolen making faces (and I know some of you are), you’ll find plenty of that in today’s page too! Funny tidbit about this page: originally in the first panel I had drawn it completely reversed, with McCloy walking around the other side of the desk (the side closest to the windows). Annoyed with myself, I decided to redraw it correctly. Really, that kind of mess up in continuity would have bugged the hell out of me forever so it was worth the time.